Irish Moss is an excellent, lush ground cover. 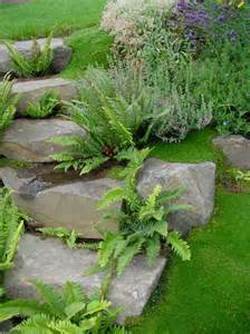 The deep green, mossy foliage grows from 1" to 2" tall and 6" to 12" wide and will continue to spread. Irish Moss will have small white flowers that will appear in late spring and bloom intermittently through late summer. Plant Irish Moss in full sun to partial sun in moist well drained soil. It does not like a lot of heat, so make sure that it is shaded from the hot afternoon sun. Irish Moss is great for planting between flagstones, spilling over rocks, in a Cottage Garden, Rock Garden, Woodland Garden, Miniature Garden, or as a low spreader in a mixed container. Irish Moss is also deer resistant and it can tolerate wetter than normal soils, so planting next to a pond or stream works well.